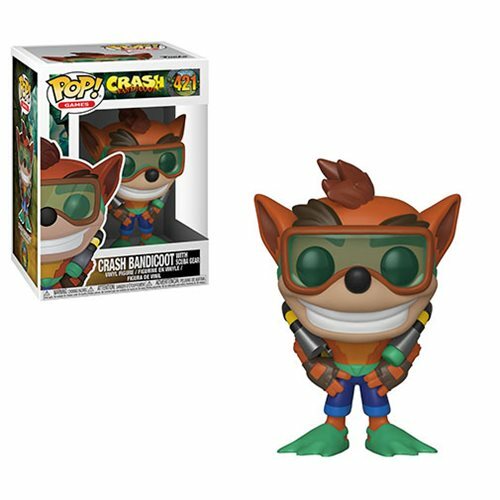 Crash Bandicoot Crash with Scuba Pop! Vinyl Figure #421. Crash Bandicoot has been made into a hyper stylized Pop! figure, complete with his scuba gear! Collect the whole Crash Bandicoot Pop! figure collection today! Ages 3 and up.